It's safe to say that I've never been much of a healthy eater. All day, I find myself snacking on a nearby bag of chips, stuffing a handful of candy into my mouth, or drinking yet another sugary drink. And with all this, I still wonder why I can't lose weight. I've tried fad diets in the past, but I always had to guiltily stop after only a few days because of my constant cravings. Still, a few of my friends swore by a low-carb, high-fat diet called keto. My friend had recently lost almost 30 pounds for her wedding*, but I was surprised when she brought up the South Beach Diet. I had assumed it was impossible to use pre-prepared weight loss meals while sticking to a keto-friendly meal plan. In fact, I only thought it was possible to live "keto-friendly" by preparing all of my meals on my own — trust me, I'm no chef. The idea of getting my keto-friendly meals delivered right to my door was definitely appealing, since it would mean more variety and also better portion control (I sometimes get a little excessive with the bacon and avocado!). Plus, South Beach is an established meal plan that helps people see results, which is exactly what I was looking for. When I found out that South Beach had keto-friendly meal options, I was in. 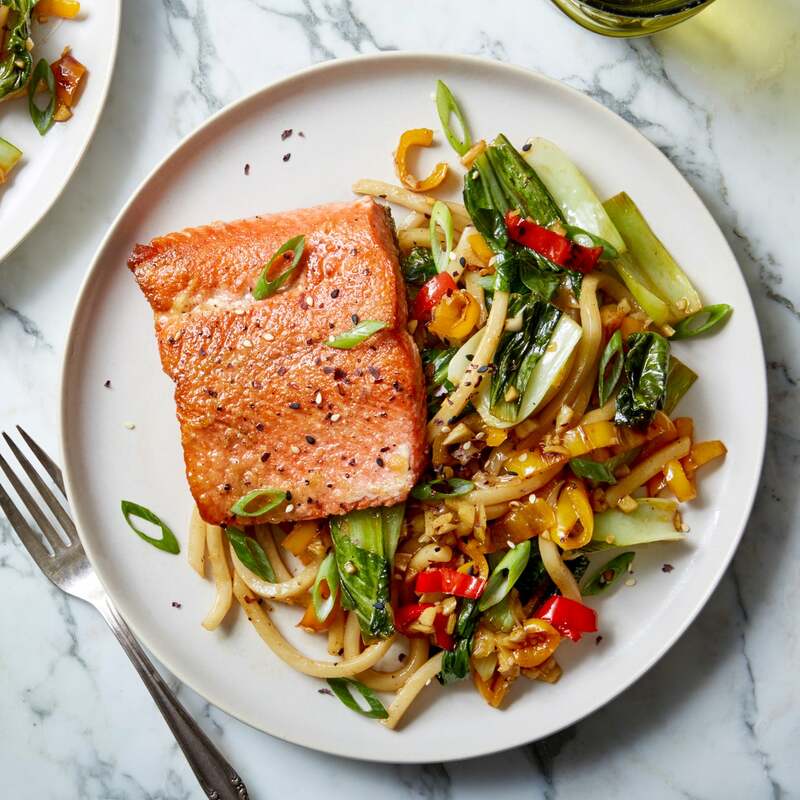 If I could get the benefits of The South Beach Diet and a keto-friendly lifestyle in one meal plan, why not give it a shot? The key to transforming your body relies on their three-phase program, which is engineered to eliminate those annoying cravings for carbs and sugar that cause us to overeat. Phase 1 jump-starts your weight loss journey with a seven-day body reboot. Unhealthy eating habits cause your body's sugar levels to spike, especially when eating a lot of refined carbs, which leads to higher amounts of fat being stored. This cycle is shattered by adopting a high-protein, low-carb dietary pattern into your daily routine. I found myself suddenly without the sugar and refined food cravings I had become so used to. Sticking to a diet in the first week was hard for me in the past, but with meals like delicious artichoke and spinach stuffed chicken breast and succulent roasted turkey with herb gravy, eating keto-friendly was easier than ever! By the beginning of Phase 2, I was seriously starting to miss carbs, even if I wasn't craving them. Lucky for me, this new phase involved adding in "good" carbs from fruits, starchy vegetables, and even whole grains. This lets you steadily reach your weight-loss goal without limiting your available foods! Dozens of meals were available to me, and my favorite was the garlic-ginger beef and broccoli. I loved the available snacks, and I knew that if I got hungry in the evening, I would be satisfied with a fudgy graham crumble bar. I also got the added flexibility and benefit of preparing two breakfasts, lunches, dinners and snacks on my own with the help of the South Beach Keto-Friendly Grocery Guide, which specifically maps out your trips to the grocery store. Plus, after I hit my target weight, I was able to transition into Phase 3 and order my favorite meals via their A La Carte service. The best part of it all is that the South Beach Diet doesn't require endless amounts of exercise to lose weight — just 30 minutes a day actually! In fact, studies have found that you're more likely to lose weight by cutting calories than by increasing exercise. Don't worry that your physical limitations are going to stand in the way of your weight-loss goals. If you focus on following the South Beach Diet plan, you will have what you need to be a healthier you. Even better, you'll find that you have stronger energy levels. It's almost like your body's way of thanking you for eating healthy. I was worried about changing my eating habits initially, but after seeing and feeling my results, I am convinced that the South Beach Diet works. With plans starting as low was $11 per day and a wide variety of meals to choose from, I had escaped the boring diets that had plagued me in the past. I was finally able to break my carb cravings once and for all while still eating foods that I enjoy. Even better, the team at South Beach Diet is extending a special offer to our readers. Follow this link for 40 percent off the one-time rate with your first four-week auto-delivery order and free shipping as long as you're on the program! *In a study, avg. weight loss was 5.8 lbs. in first 7 days. Thereafter, expect to lose an avg 1-2 lbs per week.